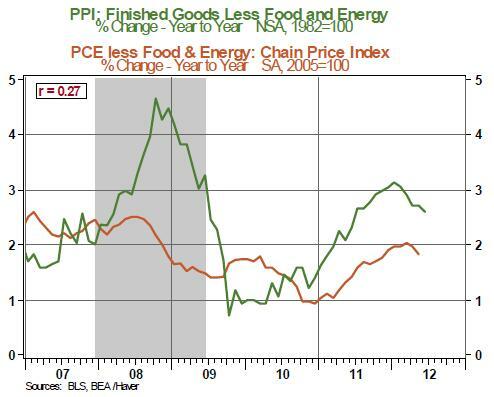 The Producer Price Index (PPI) of Finished Goods moved up 0.1% in June, following a string of three monthly declines. The energy price index fell 0.9% in June vs. a 4.3% decline in May. Wholesale gasoline and natural gas prices moved up in June but residential electricity costs declined and provided a large enough offset to bring down the overall finished energy price index. The 0.5% increase in food prices was one of the culprits for a gain in the headline index. The core PPI, which excludes food and energy, increased 0.2% in June to mark the fourth consecutive monthly increase. According to the BLS, the 1.4% increase in the price of light trucks accounts for 70% of the increase in the core PPI in June. 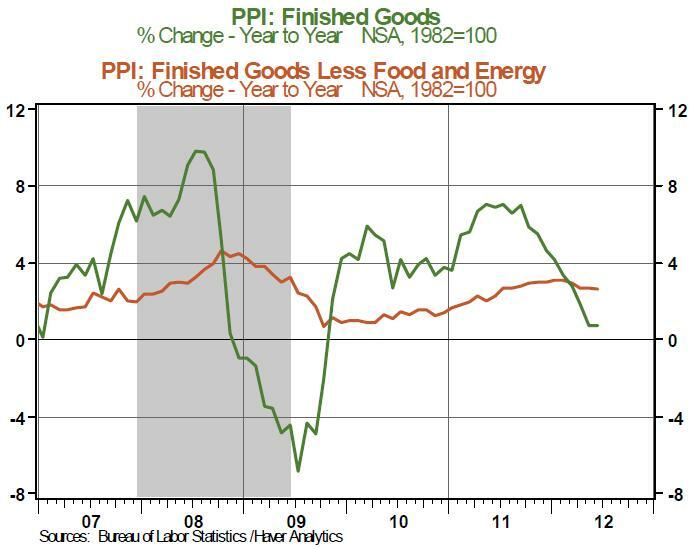 On a year-to-year basis, the core PPI has hovered in the 2.0-2.3% range for four straight months. This aspect is not too worrisome because of the weak pass-through of wholesale core prices to retail consumer prices (see Chart 2). The Fed’s preferred inflation measures are the personal consumption expenditure (PCE) price index and the core personal consumption expenditure price index; both of these price gauges show contained readings below the Fed’s target of 2.0%.